The Air Force Research Laboratory's Airman Systems Directorate is a key component of the 711th Human Performance Wing. The directorate is composed of a diverse group of scientists and engineers studying developing technologies specific to the human element of warfighting capability. We are leading the Air Force in its human-centered research, and we integrate biological and cognitive technologies to optimize and protect the Airman's capabilities to Fly, Fight, and Win in Air, Space, and Cyberspace. We are headquartered at Wright-Patterson Air Force Base, Dayton, Ohio, with additional locations at Brooks City-Base, San Antonio, Texas, and the Mesa Research Site, Mesa, Arizona. Dr. Kevin T. Geiss, is the Director, Airman Systems Directorate, 711th Human Performance Wing, Air Force Research Laboratory, Wright-Patterson Air Force Base, Ohio. The AFMETCAL mission is to manage the Air Force Metrology and Calibration (AFMETCAL) Program to ensure Air Force (AF) systems and equipment are accurate, uniform, reliable, and traceable to the National Institute of Standards and Technology (NIST) or other sources as approved by AFMETCAL (Metrology). Additional responsibilities include development, acquisition, and sustainment of Air Force Primary Reference Standards and Base Reference Standards for both the Air Force Primary Standards Laboratory (AFPSL) and Precision Measurement Equipment Laboratories (PMELs) worldwide. AFMETCAL is also responsible for the central management and day to day support of PMELs worldwide to include dealing with facility, logistics, staffing, contracting, and financial issues as well as the programmatic policy and guidance responsibilities. We are so proud of our Air Force Research Laboratory - AFRL-Carroll High School iGEM team!! AFRL and the Lab Patts know how it&#39;s done. GOLD! Congrats! 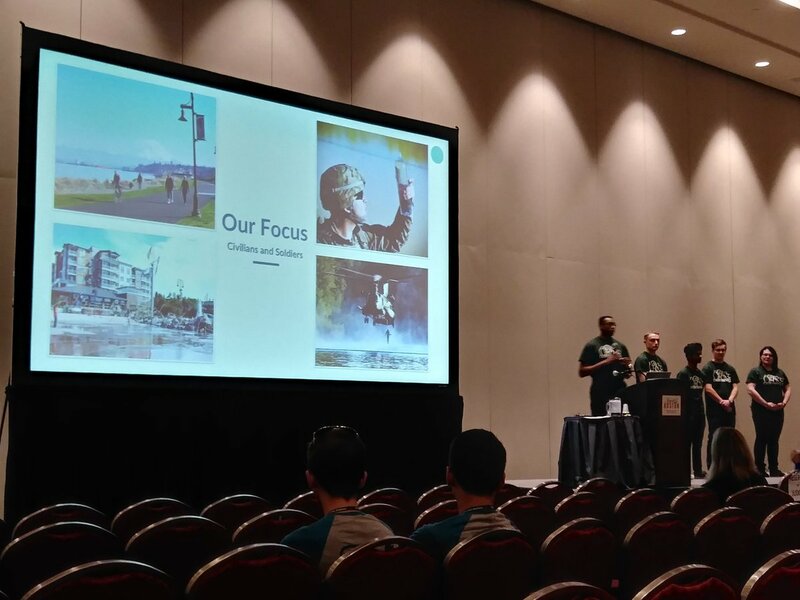 Congrats to the Air Force Research Laboratory - AFRL -sponsored iGEM team from Carroll High School, who took GOLD in the 2017 Giant Jamboree in Boston last weekend. WHOOHOO!! The team was led by 711HPWers Drs. Nancy Kelley-Loughnane and Michael Goodson. US Air Force fights the opioid crisis by using acupuncture on the battlefield. Those who eat together, win together. ;) Check out this partnership! 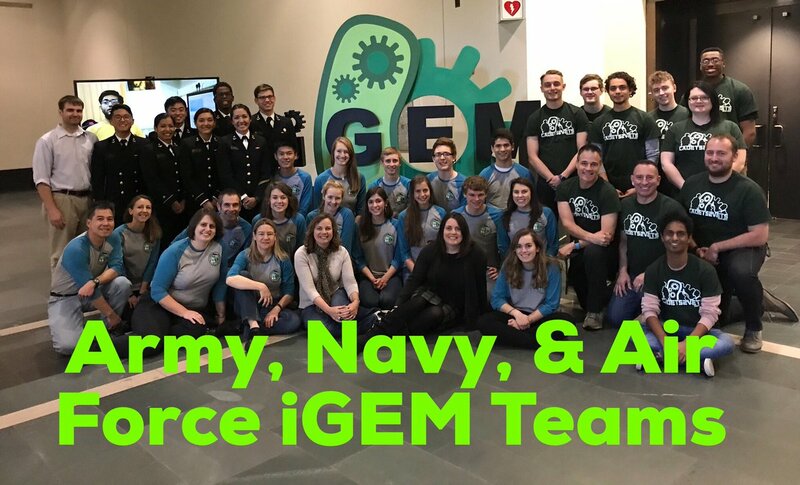 Starting tomorrow, a team composed of students from Carroll High School and experts from the Air Force Research Laboratory - AFRL will participate in the 2017 iGem Giant Jamboree in Boston. Leading the team from AFRL are Nancy Kelley-Loughnane of the 711th Human Performance Wing and Michael Goodson of Materials & Manufacturing. It takes a village! Go Team!! #STEM #science #DaytonOhio The iGEM Competition is the premiere student team competition in Synthetic Biology. For over 10 years, iGEM has been encouraging students to work together to solve real-world challenges by building genetically engineered biological systems with standard, interchangeable parts. Student teams design, build and test their projects over the summer and gather to present their work and compete at the annual Jamboree. A research team at the Air Force Research Laboratory - AFRL&#39;s 711th Human Performance Wing in Ohio has invented a device that helps study nanotoxicity. Why? Because nanoparticles are being used in a wide range of applications, and the Air Force’s research team believes it is critical to proactively investigate their toxicity. Check it out!! Streaming now. The Air Force Office of Scientific Research today announced it will award approximately $19.1 million in grants to 43 scientists and engineers from 37 research institutions and small businesses who submitted winning research proposals through the Air Force&#39;s Young Investigator Research Program. The YIP is open to scientists and engineers at research institutions across the United States who received Ph.D. or equivalent degrees in the last five years and who show exceptional ability and promise for conducting basic research. The objective of this program is to foster creative basic research in science and engineering, enhance early career development of outstanding young investigators, and increase opportunities for the young investigators to recognize the Air Force mission and the related challenges in science and engineering. Did you know the Navy is in Dayton, Ohio?? Naval Medical Research Unit Dayton (NAMRU-D) and 711HPW have a strong partnership with the common goal to improve the performance of our service members through research and consultation. 711HPW Commander Brig. Gen. Mark Koeniger (center front) and AFRL Vice Commander Col. Elena Oberg (right front) joined NAMRU-D to celebrate the 242nd Navy birthday during the #NAMRUD Dining Out, October 12. "[From] the very beginnings of the Air Force, there has been concurrent, less theatrical study of another interface between humans and their machines that has been just as ground breaking; that between the machine and the human brain." Check out this article about creating synthetic teammates featuring principal engineering research psychologist with the 711th Human Performance Wing at the AFRL Dr. Mark Draper. Congrats! If you know high school or college students in STEM-related fields, please pass along AFOSR, AFRL, and our page info. We'll be posting internship opportunities in the near future. [Berkeley] Scientists have found that humans experience 27 distinct categories of emotion, thereby challenging the long-held assumption in psychology that humans have just six main categories, namely happiness sadness, anger, fear, disgust and surprise. "Our hope is that our findings will help other scientists and engineers more precisely capture the emotional states that underlie moods, brain activity and expressive signals, leading to improved psychiatric treatments, an understanding of the brain basis of emotion and technology responsive to our emotional needs," said author Alan Cowen.